It’s very, very likely that Bo Bichette and Vladimir Guerrero Jr. will fly north with the Blue Jays this year. And by “fly north”, I mean “play in the Blue Jays’ exhibition games in Montreal”. 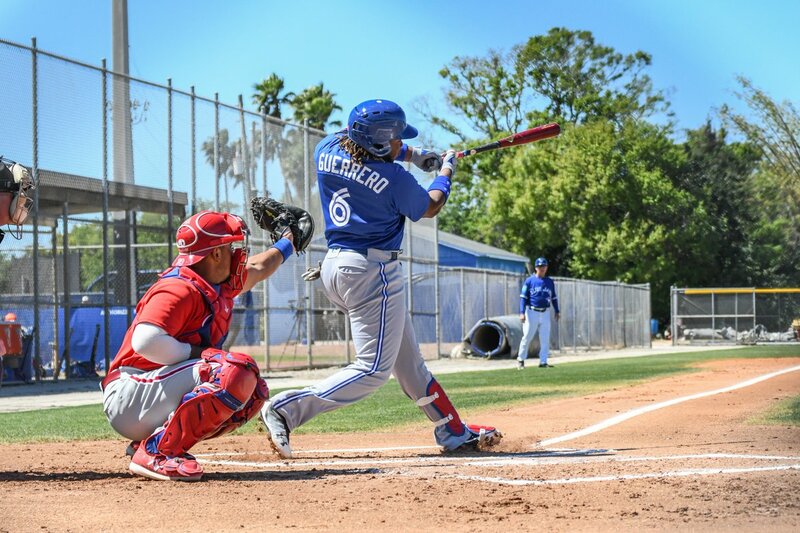 There are plenty of new faces around Blue Jays Spring Training camp, but the two players fans have been the most excited to see play in Dunedin are Bichette and Guerrero Jr. After all, they’re the future of this franchise and they’ve made believers out of a lot of people already. The Blue Jays will soon make the trip north for their annual pilgrimage to Montreal to play a pair of exhibition games at Olympic Stadium. Last night, Blue Jays GM Ross Atkins appeared on Sportsnet’s Tim and Sid program and they inquired whether the two phenom prospects would participate in those games. We’re working through finalizing that. I’d say it’s going to be finalized within 24 hours and make sure it makes sense for all the complementary pieces. I don’t see why they couldn’t be there. I think it would be good exposure and a good opportunity to play in front of a bigger crowd and be around our big league group for a little longer. Not a lot of downside to it. Aside from an injury (*gasp*), there’s no reason why Bichette and Guerrero Jr. shouldn’t make the trip to Montreal. As Atkins mentioned, it would be incredible exposure for both players. Not like Bo and Vlad need anymore, but putting them in primetime in the week leading up to Opening Day would generate a lot of excitement for the team. Plus, it’s a bit of a homecoming for Guerrero, since he was born in Montreal during Vlad Sr.’s playing days with the Expos. And with his father’s induction into Cooperstown last summer, there’s a Hall of Fame angle to play up there. In the past, the Blue Jays haven’t been shy about bringing along some of their prized young prospects to this exhibition series. During their rookie seasons in 2014, both Aaron Sanchez and Marcus Stroman pitched in front of fans at The Big O. Rowdy Tellez and Richard Urena also picked up some playing time in this series. Whether it’s a game of consequence or not, the demand to see these two players is already off the charts. Working Bichette and Guerrero Jr. into this series would satiate a lot of rabid fans waiting to see these prospects play in primetime. 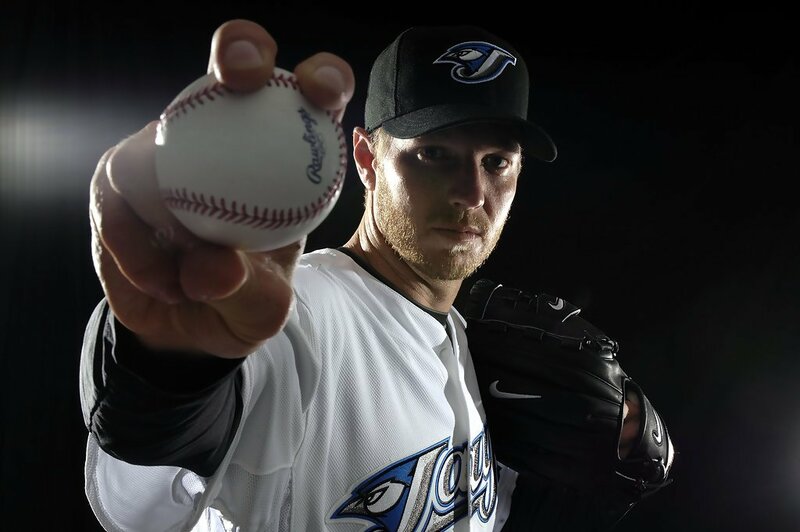 Blue Jays Quiz: Can You Name Every Opening Day Starter?